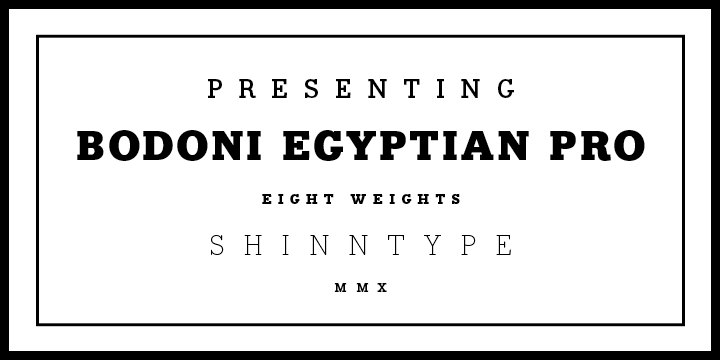 The Bodoni Egyptian pro is mysterious and offers an amazing feel to each project you plan to undertake. The core architecture of this typeface is its USP. This is truly stripped of the famous high contrast cloak. The designer has actually subverted all of the typographic norms and come up with a monoline of even width that integrates a dash of quaintness.